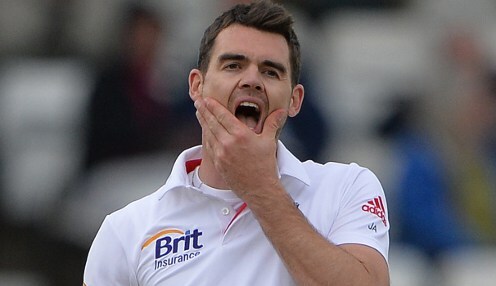 Jimmy Anderson knows that the key to England winning the first Test against India is to dismiss Virat Kohli at the start of the fourth day's play. The tourists closed the third day on 100-5, needing 194 for victory, with Kohli, who made 149 in India's first-innings total of 274, unbeaten on 43. Anderson, who dismissed Kohli four times in 10 innings on India's previous tour of England four years ago, said: "No-one is invincible in world cricket. We can get him out. "I've been encouraged by the way I've bowled at him in this game. "I found the edge a few times in the first innings. On another day I could have got him and we could be in a much different position now. But that's not the case. We've just got to go away and know we can get him." After England had reached a second-innings total of 180 after being 87-7 at one stage, India were struggling on 78-5 only for Kohli and Dinesh Karthik to come through the final 50 minutes of play on Friday unscathed. England can be backed at 2/9 to win the first Test while an India victory is available at 10/3. Meanwhile, England are 17/2 to win the five-match series 3-1.